Come with us on a trip down memory lane to the golden era of video games. An all-time favourite, beloved by many and iconic to everyone, Namco's Pac-Man is truly a game to have stood the test of time. It was an instant arcade classic which, despite numerous attempts to bring him bleeping into the new century, remains the definitive form of Pac-Man yet, that has never been bettered. Brilliant in its simplicity, Pac-Man was, and forever will be, a puzzle game where Pac-Man chomps his way around a maze, clearing it of all the casually discarded pills on his route. While going about his merry fruit filled quest, Pac-Man is joined, and at times hunted, by four ghosts: Inky, Blinky, Pinky and Clyde, but Pac-Man has the advantage by way of eating four power pills, one in each corner, which turn the tables on said ghosties and allows Pac-Man to hunt them. Gradually the levels get harder and the speed quickens before your lives drop and you insert another coin and try all over again. 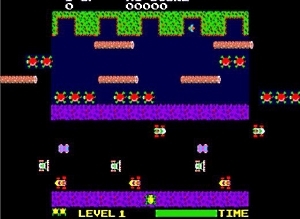 In the arcade classic Frogger, your aim is to get the little lost frog safely back to the sanctuary of his home in under one minute, while navigating your way through traffic and dangerous rivers, filled with alligators and disappearing-reappearing snapping turtles, all intent on squishing or eating you. Like all the classics, these games are simple by design and there is no complicated story or puzzling narrative to throw you off track. Just make sure get froggy home in one piece. 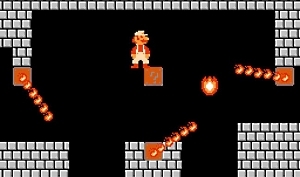 Released way back in 1981, the game was developed by Konami with the game's original screen split into two halves. The lower half of the screen portrayed a road loaded with vehicles, which could include anything from cars, trucks, buses, vans, bicycles, and motorcycles, while the upper half consisted of a river filled with logs, alligators, and turtles. At the absolute top of the screen, there were five homes where the little green one could finally rest at ease. Today, the ape known as Donkey Kong is one of Nintendo's flagship mascots, but, in fact, on launch he was the bad guy. 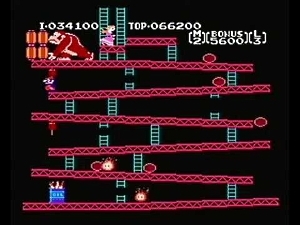 Back then, when we first meet Donkey Kong, he is angrily throwing barrels at Mario, then known simply as Jumpman, who is trying to reach the ape due to the naughty gorilla having robbed Jumpman of his lady friend, Pauline. In this initial introduction, we play as Mario jumping and climbing and generally avoiding the avalanche of barrels raining down on us courtesy of DK. This is played on repeat until all lives are lost, with the pace picking up as the game progresses, as does the barrel storm. Before long, Donkey Kong got his own spin off titles, in which the jungle replaced the building site setting of this original arcade game. Of course, so too did Jumpman, under his new moniker of Mario, soon to be Super Mario. 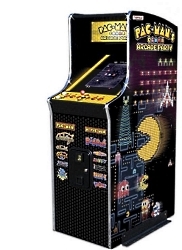 With the classic original 1977 movie fresh in the memory when we entered the 1980s, video games arcades, not to mention casinos, were quick off the mark to capitalise on the blockbuster film and install these early Star Wars themed slot machines, which became very popular, very quickly. Today, as Star Wars fever shows no signs of slowing, Star Wars slots remain popular but it is the original '80s game, featuring all of your favourites like Han Solo, Luke Skywalker, Princess Leia, Chewbacca, Darth Vader, Obi-Wan Kenobi and Yoda, that remains the best, on retro grounds if nothing else. Slots, too, are always popular and it is the most loved casino game of them all in in terms of money taken. This counts for live and online casinos, where people play online or on their mobile phones. 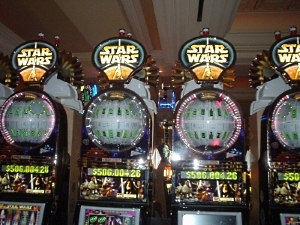 Again, there are lots of Star Wars slots around, online and off, that remain loved by many. While this may have been the classic era of video games, there is much to be admired about video game playing today, including the convenience of it. Just as Donkey Kong got a spin-off set of games, so too did his nemesis in the first game, Mario. Now known as Super Mario and joined on his second run-out by his brother Luigi, the 1983 classic, Super Mario Bros, was a platform game not dissimilar from today's versions. Basically, your mission was to get Mario to the end of the Mushroom Kingdom, avoiding Bowser's forces such as Goombas, Piranha Plants, and all the other Mario style baddies, collecting coins and super powers as you make your way to save Princess Toadstool. As I said, it hasn't changed much over the years, but then why mess with perfection?